We've known Google was developing a YouTube music subscription service for what feels like forever now, but many details - what it's called, pricing, what it will offer - have stayed shrouded in mystery. That is, until today. 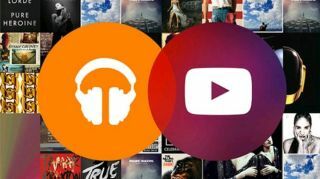 Android Police scored some details of unknown origin on what Google is planning for its YouTube subscription service and Google Play Music All Access. First up, the name. It looks like Google has landed on YouTube Music Key as the moniker for its 'Tube-based tune player, and it will carry the convention over to the rebranded Google Play Music Key (slightly less long-winded than Google Play Music All Access). According to screen grabs taken from an Android phone, YouTube Music Key will be available on handsets, tablets, desktop and TV as an ad-free offering. It will feature an audio-only mode so users can turn off their screen or have music play in the background while they do other tasks on their device. YouTube Music Key will also supposedly feature an offline playback mode so users can continue listening even when they drop off an internet connection. According to Android Police, the service will let users listen for free during a 30-day trial period, but after that it's going to cost $9.99/month. There's no word on international pricing, but it's in line with Spotify's $9.99/£9.99/AU$11.99 monthly premium service. While you may think, "Eh, that's kind of a lot for YouTube music," apparently Google is planning to roll up YouTube Music Key and Google Play Music Key into the price. Current All Access subscribers may be granted automatic admission to YouTube Music Key's walled garden. Google has secured the domain for YouTubeMusicKey.com and looks to have "over 20 million high-quality tracks - complete albums, organized into artist discographies" reserved for its new service, so it seems to have most of its ducks in a row. YouTube Music Key won't stick straight to songs though; concert footage, covers and remixes are also on the docket. As for recommendations, it will reportedly take into account what you listen to and watch on YouTube itself to make suggestions on the music you should listen to and watch over on its end. Unfortunately, despite the new details, we're no closer to learning when YouTube Music Key will launch.